As a member of the military, serving and caring for others has been a defining part of your life. 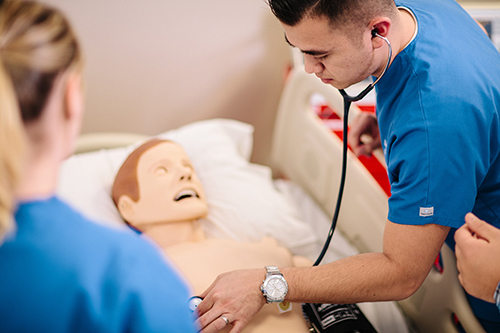 Now you can build on your experience and skills to earn an undergraduate degree in nursing from Duquesne University. Duquesne University is proud to continue our tradition of supporting veterans, active duty military, reservists and military family members in their educational pursuits. U.S. News &World Report ranks us in the top 25 Colleges for Veterans and GI Jobs named us Military Friendly for six consecutive years. Our Office of Military and Veteran Services provides the resources and support you need to succeed. Scholarships are available for veterans to maximize education benefits. "I chose Duquesne University because of its reputation as a top-tier school. I feel like I am part of a family that supports me every step of the way. The resources here at Duquesne, are outstanding!"